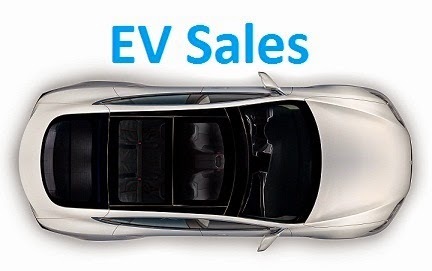 The global EV market continues to grow at rapid pace, with over 54.000 units delivered in May, representing a 42% growth YoY, with YTD up 45%, we are headed for a total sales number this year of around 800.000 units, not the Million a year that everybody is hoping for, but an encouraging number nevertheless. In the models ranking, the Best Seller of the Month was the Nissan Leaf, thanks to a good result in the domestic market (805 units), just managed to edge out the BYD Tang by 44 units (3.293 vs 3.249), while YTD the Japanese hatch is comfortably ahead, although it was down 1% in share. Will we see the same picture in 2016 as last year, with the Leaf losing the leadership in the last months? Looking below in the ranking, the Chevrolet Volt was up to #6, making May the Third consecutive month of 2.000-something sales for the GM product, a consistent result but somewhat disappointing for those that expected 3.000-plus units from this Second Generation. Is the Chevy Bolt already making damages here? The BYD Qin (#3 in May) reappears in the Top 10, making three BYD's in the Top 10, the first time that any brand achieves that, while below these top positions there are models making an impact: The Kandi Panda EV was #4 in May, with 2.598 units, the SAIC Roewe e550 was #7 with 2.198 units and a certain Tesla Model X (#12 last month, with 1.603 deliveries) is already making waves, outselling (4.853 units) their direct rivals, the XC90 (4.451), X5 (4.277) and Cayenne (2.392) plug-in versions. Next Stop: Top 10 Ranking. BYD has set an ambitious goal of doubling sales regarding 2015, and after a slow start, the Chinese brand is pushing hard to reach its own goals, in May it delivered 9,148 units, its second best performance ever (It set the current all-time record last December, with 10.148 units), and third best score ever by an automaker, behind the aforementioned December and Tesla's last March performance (9.636 units). Will BYD beat its own record in June? It all points to that, but will it be enough to win over the likely Ludicrous performance from Tesla? Looking elsewhere, Ford is back to #10, but JAC is close (8.371 units), so the last place in the ranking is still pretty much open. 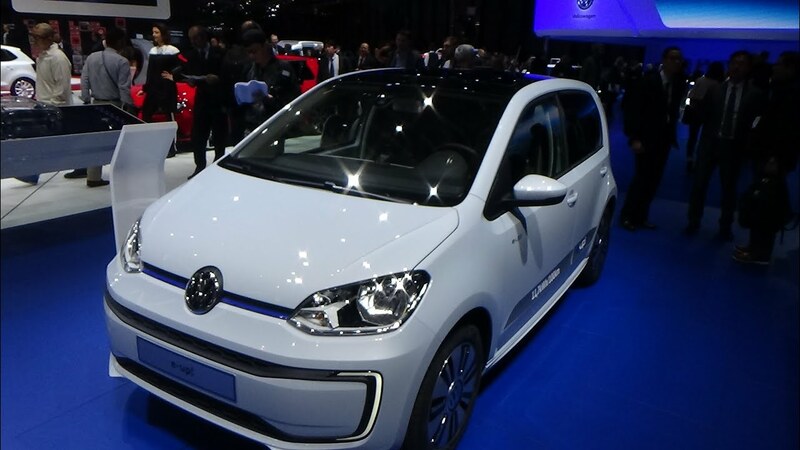 The European EV market had more than 14.000 registrations in May, representing a 9% increase over May 2015, a slight decrease in growth, due to the upcoming fiscal benefits in Germany. Nevertheless, the market is set to surpass the 200.000 units by year end, possibly even reaching 240.000 units. 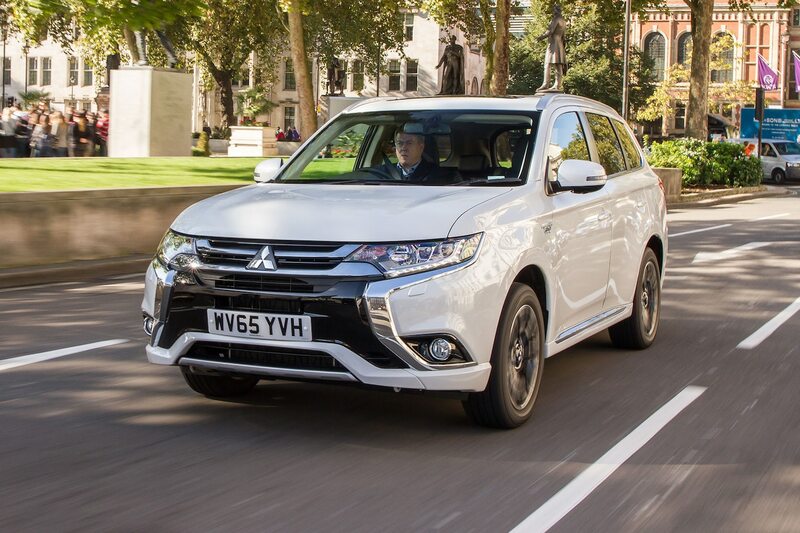 #1 Mitsubishi Outlander PHEV – The Japanese SUV won once again the Best Seller status in May, with 1.707 units, but YoY sales were down by a third, with the runner-up ending just 50 units behind, the leadership is well open to discussion in the coming months. Although growing elsewhere, like Norway or Sweden, Mitsubishi still hasn’t found a way to replace the average 300/400 units/month it had last year in the Dutch market, where it registered just 16 units last month. #2 Renault Zoe – Continuing with its best sales streak since it started, back in 2012, last month saw its sales grow 35% YoY to 1.657 units, its best May ever, the little French hatchback is finally fulfilling expectations, with Renault actively selling the car (At last! ), it will be a question of time until the Zoe reach #1, especially considering that its second largest market, Germany, will have a welcome incentives-derived boost in the near future. #3 Nissan Leaf – With deliveries back at cruising speed, sales of the Japanese hatch were up 38% in May, to 1.362 units, not that far from the top two models. The Japanese hatch continues to sell in large quantities, especially in Norway and France, but the question is for how long, as longer range BEV’s (New BMW i3, 2017 Opel Ampera-e…) might sway away buyers from the most common EV in the world. #4 VW Passat GTE – Thanks to the Scandinavian markets (685 units sold there), Volkswagen’s midsize offering reached the Fourth Position in May, with 1.035 units, the best score this year and its best place in the monthly ranking so far. With the right mix of space, practicality, low carbon emissions and power, the Passat GTE is destined to success as company car for middle managers across Europe. #5 Mercedes C350e – The surprise of the month, Mercedes midsize plug-in offering managed to reach the Top 5 last month, with 780 units, a year best, with stringent emission legislation spreading across Europe, many fleet buyers are switching diesel-burners for their plug-in hybrid alternatives, as is this case, with only 30 kms of electric range, this car has “compliance car” written all over it. If the sprint for the leadership is very much open to discussion, the apparent race for #4 will no longer exist in June, with Tesla presumably delivering a tsunami of Model S, and the VW Golf GTE affected (Sales down 50% YoY in May) by its Passat GTE sibling success, the German sporty hatch will inclusively have a hard time to resist the expected sales surge that the longer range BMW i3 should have during the summer. Talking about Volkswagen, this month was a mixed bag for the Wolfsburg automaker: In the PHEV front, the Passat GTE had a year best performance and jumped two positions to #8, but on the other hand, the Golf GTE saw its sales dive by half, while on the BEV front, the e-Golf had its worst performance (479 units) since 2014, dropping two positions to #10, with the e-Up! pulling its best performance (281 units) in a year, thanks to the recent restyle. Looking at the brands ranking, the trophy bearer, Volkswagen (16%) has won a little more advantage over Renault (14%, down 1% share), while in Third we have Nissan, with 13%, trying to keep the #4 BMW (12%) and #5 Mitsubishi (12%) outside the podium. The number of models arriving to the local EV market is becoming increasingly larger and it is becoming common for one or two models to land every passing month, so we've created a new column called "New Models", where we look at the rookies. Roewe e950 - The PHEV version of the 950 barge sedan, it aims to duplicate in XL format the success of its e550 smaller brother, which is now at over 2.000 units per month. With a 11.8 kWh battery and 60 kms electric range, this Tesla Model S-sized car is geared to become the best-selling plug-in of its class. Maxus EG10 - Looking to explore a niche that BYD is neglecting, SAIC launched this EG10 large electric MPV / Van, a market with no competition in sight (BYD production constraints are leaving its T3 Van dry). With a powerful 204 hp engine and 150 kms range, it does have interesting specs for hotel shuttles and other fleet uses, but the question is: How big is that market? Thanks to a new article on RAC Foundation, i can now post a ranking regarding UK's First Quarter of the Year. Regarding the rest of the ranking, two newcomers made an impact, the Volvo XC90 PHEV landed with an impressive #7, just like the 330e, which is now #9, not far from its i3 brethren, which dropped from #3 to #8. Did buyers preferred to go for the more normal 330e instead of the Star Wars-looking i3? A final reference for the drop in sales of the BMW i8, down 48%, but despite this slowing down of sales, the UK is still the second largest market for the German Sports Car, only behind the USA. Last year i had the opportunity to discover and cooperate with the ReNew magazine, an Australian magazine focused on Renewables and other sustainable technologies, i found it truly interesting and educating, among other things, it provided tips on how making small changes in our day-to-day life to make an impact on the environment. At the time, i wondered: "How is it possible that there isn't something like this in Europe?" There is now, The Beam magazine has just started and is looking for readers and backers to continue running, check it out and give your thoughts to their team! Volvo XC90 T8: Belgian EV Favorite. May was another great month for plug-ins, with 741 EV's registered, up 119% YoY, with the EV Share steady at 1.54%, being currently one of the fastest growing markets. SUV's continue to own the market, with all the places in the Podium belonging to that class: The BMW X5 PHEV (130 units) was the Monthly Best-Seller for the first time, followed by the Volvo XC90 T8 (120) and the Porsche Cayenne Plug-In (116 units, best result in 11 months). Looking at the YTD ranking, the aforementioned high-end SUV's occupy the Podium, with five out of the Top 10 positions belonging to SUV's. Looking at the changes in the ranking, there was an important shift in the Fourth Position, with the Nissan Leaf becoming the best-selling BEV, switching places with the Tesla Model S, that with only 9 units, it had its worst month in 20(!) months. Are Belgian Tesla-lovers already waiting for the Model X? There were an additional 4 Toyota Mirai registered last month, with the YTD numbers now at 8 units, making Belgium one of the most successful markets for the Terminator-Car. If we combine May regular hybrid sales with plug-ins, the Toyota Auris Hybrid was #1, followed by the best selling plug-in BMW X5 PHEV, with 130 units, with the Yaris Hybrid down to Third, with 122 units.